We have all experienced it, you hit that magic mileage number or your vehicle says time for an oil change and off you go to the dealership or a speedy oil change to take care of it. Most of you probably know where I am going next. You roll in for the fast service and then it begins. The parade of items that your vehicle needs that are just about to wear out and without them, you are putting the lives of yourself and children into uncaring hands. The air filter, windshield wipers, brakes, complete system flush and it goes on. You then begin the internal battle of are they telling me the truth or not. Our spouse has said don’t ever let them talk you into anything you don’t need. We then become conditioned to not trust anyone at the dealership or at the oil change place. Whether they are telling the truth or not the fact that a lot have “oversold” people in the past has made our first impression and belief to be we can’t trust them. So let’s take this into our business lives. Depending on the research you look at it shows around 33% of employees do not trust their management. That is not a good place to be operating from and can have an impact on the performance of your business in many ways. Without trust, idea implementation is much more challenging. So the growth and the development of your business has hurdles in front of it due to this trust statistic even before you do anything else. We can go on with examples, but let’s look at what we can do about it to help our business outperform the many others. We often talk about knowing yourself before managing others and the same applies here. We need to ask ourselves who is it that I trust or do not trust and the whys behind those feelings. As we explore those answers we then have to ask how I as a manager measure up to that expectation of trust. This is the easiest way to understand what may or may not have people trusting you and where your gaps may be that need attention. 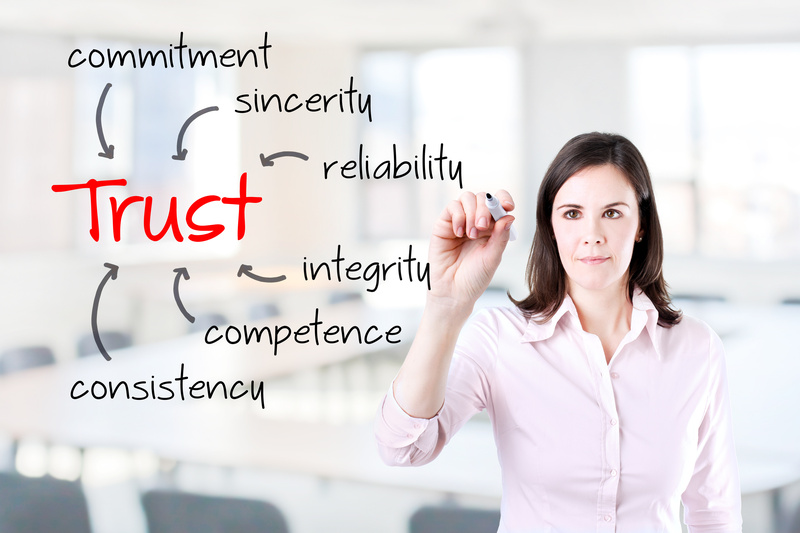 Trust requires consistent behaviors of honesty/integrity, competency in our work and a real caring for our employees. All of these items seem simple and we all say we do them all the time, and if we all did there would not be 33% of the workforce that did not trust their management. There are ways to improve and help build trust in your teams and we work on these behaviors in classroom and development programs every day. The main thing is awareness and the commitment to build trust and leadership by exhibiting the correct behaviors and living by them. As always easier said than done. Persistence to working on this daily will deliver the positive results. Tools and techniques will make this a bit easier. Wishing you success and growth. Previous Entry:What Happened To You?